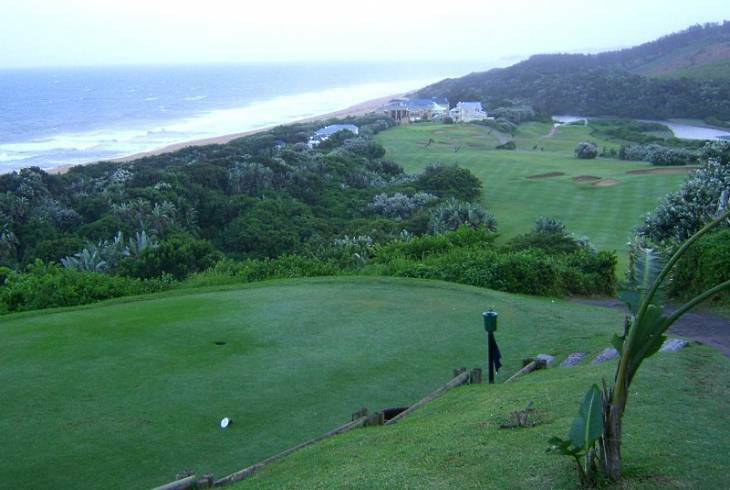 Prince's Grant is one of South Africa's premier golf, holiday and residential estates. Situated on the exclusive subtropical Dolphin Coast in KwaZulu-Natal Province, also known as the Zulu Kingdom, it lies some 75km (46 miles) north of Durban. Combining old world charm with modern luxury living, Prince's Grant also boasts a "Site of Conservation Significance". Although golf is the main activity, other attractions of Prince's Grant include pristine beaches nearby, lagoon canoeing, swimming pools and squash and tennis courts. Whatever your and your family's interests, Prince's Grant offers accommodation for all tastes. This ranges from a magnificent hotel to self-catering cottages, chalets and houses with all mod cons. The moving memorial to King Shaka Zulu stands in the neighbouring town of kwaDukuza (aka Stanger). A leisurely drive from Prince's Grant takes you to the famous Anglo-Zulu battlefields, Zululand game reserves and Lake St Lucia World Heritage Site - all offering excellent accommodation. Prince's Grant overview. Prince's Grant Accommodation and Information.